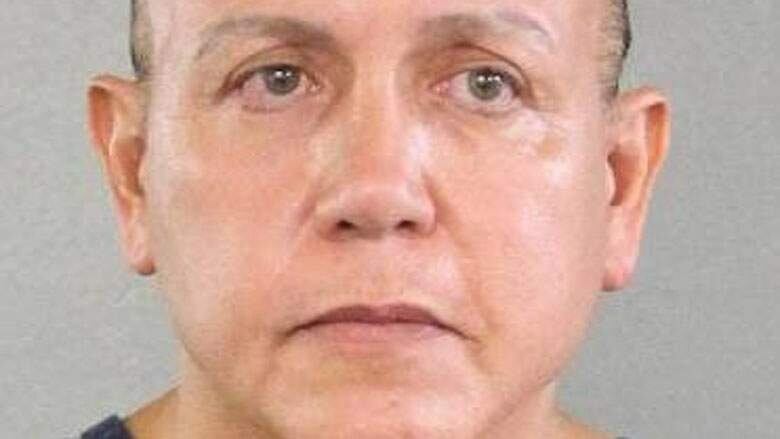 Cesar Sayoc, the 56-year-old man who is now facing five federal charges in connection with more than a dozen intercepted suspicious packages, has a lengthy criminal record in Florida. FBI Director Christopher Wray said that the investigation is ongoing but that the explosives, which didn't detonate, aren't being treated as "hoax" devices. 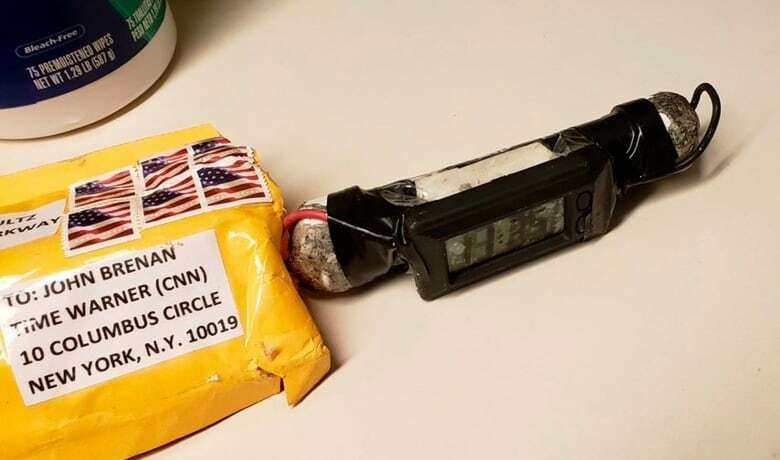 According to Wray, they were all made of about 15 cm of PVC pipe, a small clock, a battery, some wiring and potential explosives. Interstate transportation of an explosive. Assaulting current and former federal officers. In 2015, he reported to police that his van was broken into outside of a gym in Oakland Park, Fla. He claimed that more than $40,000 worth of items were stolen, including $7,150 worth of Donald Trump-brand suits. According to court and other public records, Sayoc had a lengthy criminal and court record in Florida. He has been convicted on theft, stolen property and traffic charges and in 2002 on a threat to "throw, place, project or discharge any destructive device." Sayoc, who was born in New York, was sentenced in August 2002 for threatening to throw a bomb in a conversation with a Florida utility representative, according to Ronald Lowy, a Miami attorney who represented him. Dade County court records showed Sayoc served a year's probation after a judge signed a discharge certificate in November 2002. Court records also show that Sayoc was convicted in the 1990s in Broward County, Fla. on grand theft and stolen property charges. In 2004, he was convicted on a felony charge of fraudulent refunds and a misdemeanour of tampering with physical evidence. According to the records, he is a registered Republican. A Twitter account that appears to belong to the suspect includes repeated attacks on billionaire George Soros and praise for U.S. President Donald Trump and other Republicans. Soros was the first recipient of the dangerous packages identified. 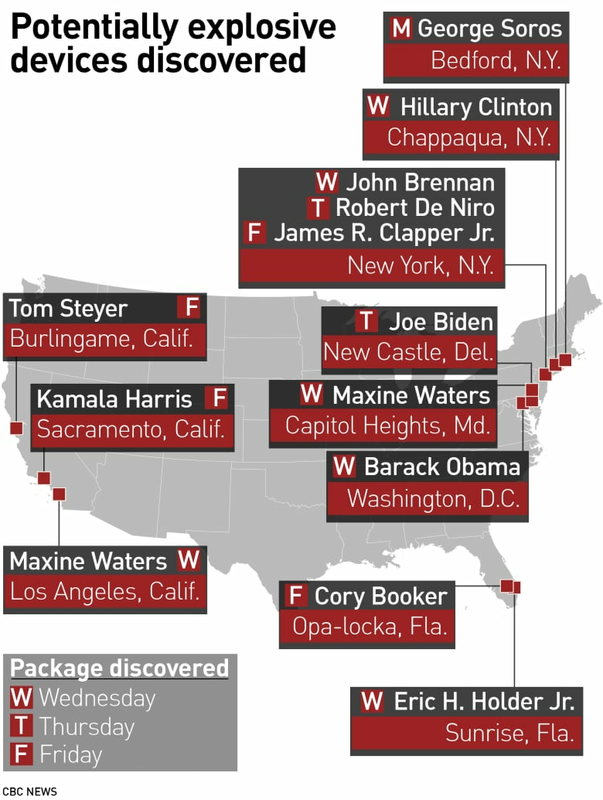 Nearly all of the other targets who were intended recipients of packages also turn up in derogatory or highly critical tweets, including Hillary Clinton, Eric Holder and Maxine Waters. Authorities said Friday a fingerprint from the Waters mailing was key in identifying the subject. Ron Lowy, who has represented the accused in the past and is now representing his family, told CNN's Anderson Cooper, that he recalls someone with a "lesser IQ" and "substantial" emotional problems. Lowy said Sayoc has refused medical help for years, despite urging from his family. "He's become indignant, angry, someone who doesn't want to look at his problems," the lawyer said. Lowy said the family is sad and distraught. They're also angry at Sayoc, who they had spent years trying to help, he said. He said that his former client "never seemed sophisticated enough" to put together a complicated mail bomb scheme and he wouldn't be surprised if Sayoc had someone who "helped prod or encourage him to do this." In linking him to the Twitter account, The Associated Press noted that it contains imagery that mirrored what appeared on the side of the van that authorities seized. Trump was singled out for praise, deemed the "best president ever" in one tweet, while a man appearing to be Sayoc posted a video from an unidentified Trump rally, featuring supporters chanting the president's name. While CNN was among the recipients of packages this week, the vast majority of tweets from the account linked to the suspect show screen grabs or videos of television news coverage depicting segments from Fox News. Two weeks ago, an account believed to be linked to Sayoc threatened a former Democratic congressional spokeswoman on Twitter after her appearance on Fox News. The tweet warned her to "hug your loved ones real close every time you leave" home. The woman, Rochelle Ritchie, reported him to Twitter, but the company found he had not violated any conduct rules. A Twitter spokesperson declined to comment, citing the ongoing law enforcement investigation. A Facebook profile that appeared to belong to Sayoc featured videos and photos of him at multiple Trump rallies, including at least one in Florida. Several posts contained anti-Muslim statements. A Linkedin file containing a picture that matches the suspect's boasts over 500 connections but is extremely vague on professional experience both in terms of employment history and time frame. The profile, under Cesar Altieri, describes experience as a booker and promoter of burlesque and Chippendales shows. The profile indicates attendance in the early 1980s at North Carolina schools. It is not immediately clear if those claims are accurate. A man who operates a property management office near the Florida auto parts store where the mail bomb suspect parked his van said the suspect didn't resist when armed police officers swarmed and arrested him. Thomas Fiori, a former federal law enforcement officer, said he saw an undercover police officer in a nearby SUV looking at the AutoZone store with binoculars Friday.